Designed with a disciplined minimalism, the Cerium SL Hoody is exceptionally light and compressible. 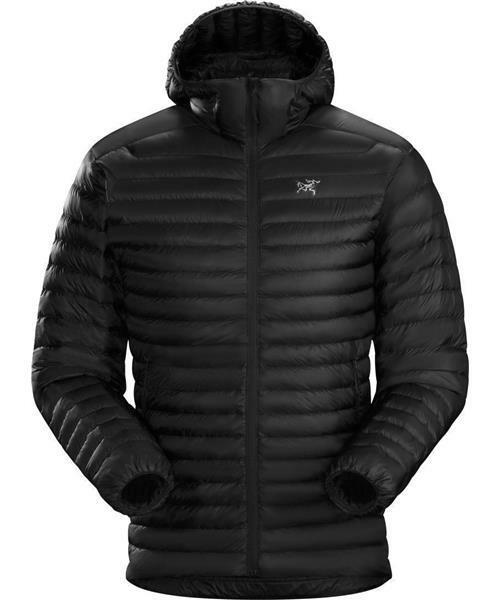 It primarily functions as a midlayer, but its efficient warmth and packability makes it an effective standalone for rest breaks, evenings at camp, or emergency bivvies. The 850 fill power goose down’s warmth to weight ratio is outstanding, and the windproof Arato™ 7 nylon shell is ultra lightweight and resists tearing. An insulated StormHood™ adds warmth. * Coreloft™ 100 (100 g/m² ) insulation. Made with highly crimped multi-denier siliconized polyester yarn, this lightweight, breathable, and thermally efficient, 100% polyester staple fiber is very compressible and has excellent loft retention. * Coreloft™ 40 (40 g/m²) insulation. Made with highly crimped multi-denier siliconized polyester yarn, this lightweight, breathable, and thermally efficient, 100% polyester staple fiber is very compressible and has excellent loft retention.